Well, it’s been several years since I wrote anything for this blog. Much has changed since my last post LOL. I’ll be reorganizing things a bit, since my painting and gaming interests are heading in new directions these days. To get the ball rolling, here are a few recent pictures of some of my painting for Congo, from Studio Tomahawk. Cannibal Chieftan for the Forest Tribes. 28mm figure by Copplestone. Masai figures (bases unfinished). 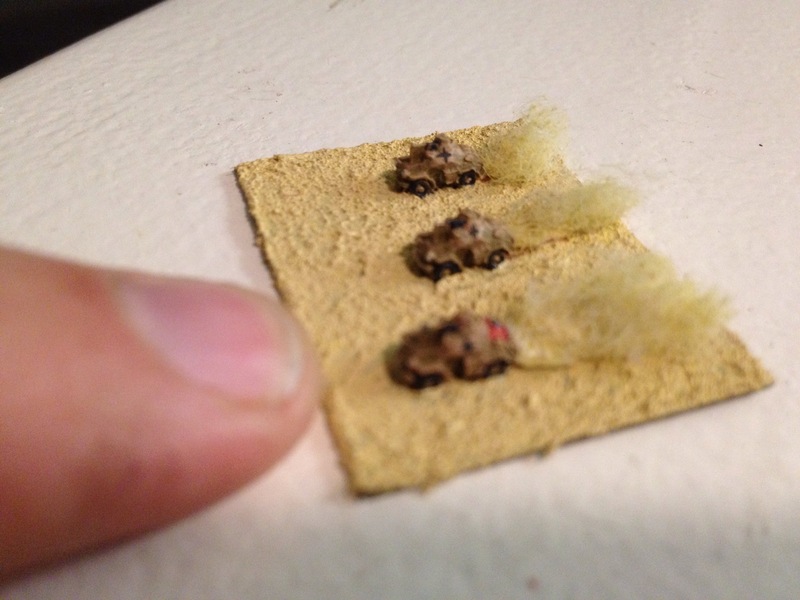 28mm Foundry figures. Yes, that is a aircraft recognition flag on the back of the one scout car. 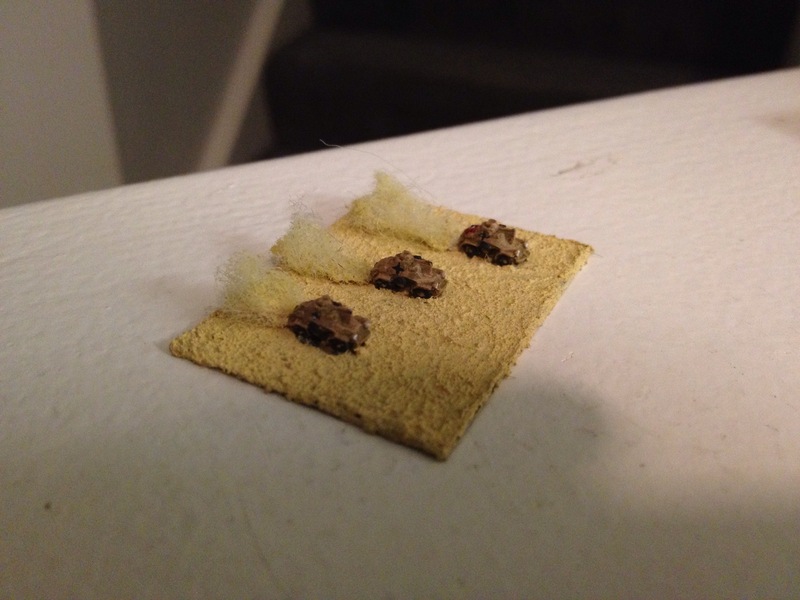 The dust plumes are simply from cotton fiber soaked in watered down Vallejo beige paint, allowed to dry and then glued to the base. 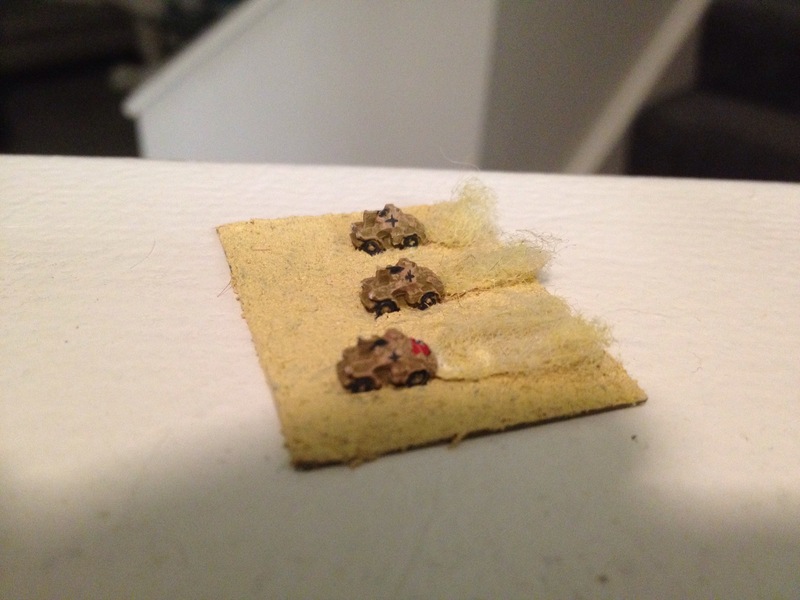 The sand is Vallejo desert basing paste. This stand was the result of about 30 minutes of experimentation. I then started mass production and have about 25 more stands nearly finished. More to come!